The Supreme Court has reiterated that a magistrate, upon receipt of a closure/refer report, cannot direct the police to file charge sheet. In a criminal case filed against the accused for the offences punishable under Section 326, 294 of the Indian Penal Code and Section 3(1) of the Scheduled Castes and the Scheduled Tribes (Prevention of Atrocities) Act, 1989, a final Report under Section 173(2) of Code of Criminal Procedure, was filed before the Chief Judicial Magistrate submitting that no offence was found to have been committed by the accused. However, the CJM found that sufficient evidence is available on the record to submit charge-sheet against the accused and rejected the closure report. The police were directed to submit charge-sheet against the accused in the Court. 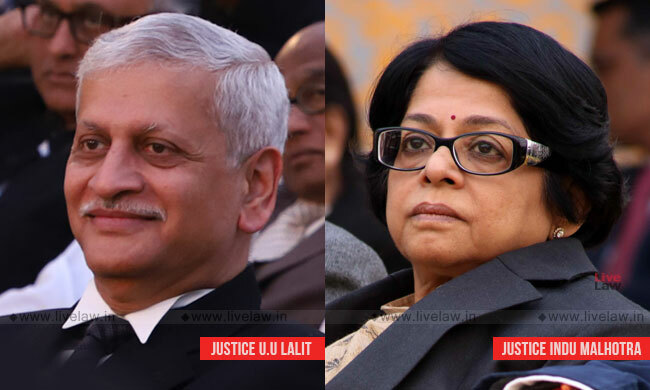 Such a direction is wholly unsustainable, said the bench comprising of Justice Uday Umesh Lalit and Justice Indu Malhotra, in the appeal filed by accused (Ramswaroop Soni vs. State of MP). It observed that the judicial discretion to be used by the Magistrate at such stage shall fall in either of the the three categories. He may accept the report which was filed by the police in which case the proceedings would stand closed. He may not accept the report and may take cognizance in the matter on the basis of such final report which was presented by the police. If he is not satisfied by the investigation so undertaken by the police, he may direct further investigation in the matter. The bench then set aside the order passed by the Chief Judicial Magistrate and remitted the matter back for fresh consideration.